As a first step, the initial evaluation of the patient: what to do in cases of airway obstruction by foreign bodies? Handling of wounds and hemorrhages; bandages; bone lesions and burns care. 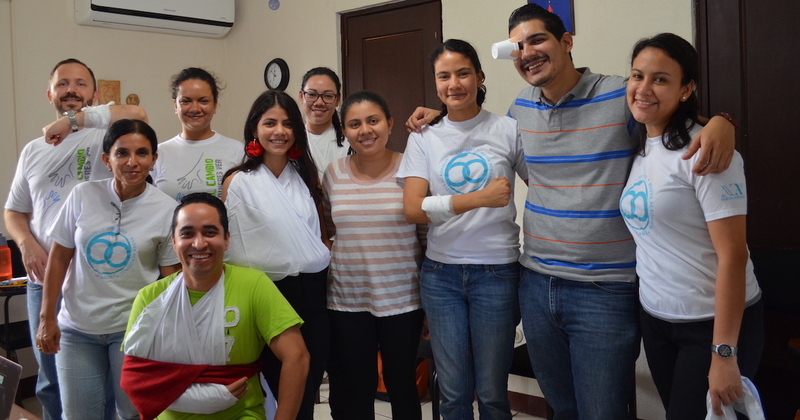 The main purpose of this first aid workshop was providing volunteers with the necessary knowledge to attend to any emergency that can occur, giving the basic support necessary to keep a patient alive until the arrival of assistance by a specialist or transfer to a center of care.